Navjot Singh Sidhu arrived Lahore via the Wagah border from where he will travel to Islamabad to attend Imran Khan's oath-taking ceremony scheduled for tomorrow. 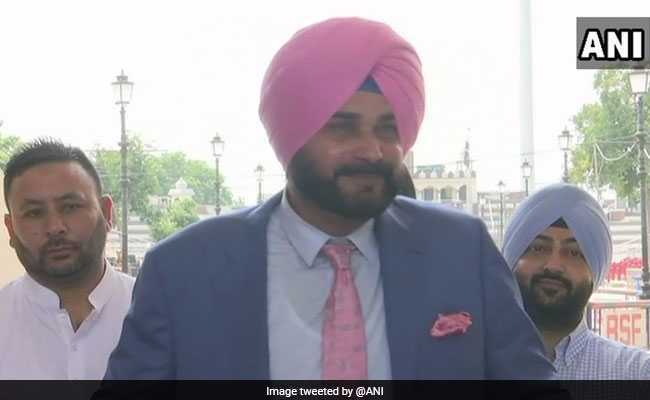 Indian cricketer-turned-politician Navjot Singh Sidhu today arrived in Lahore to attend the swearing-in ceremony of his friend Imran Khan as Pakistan's prime minister. Wearing a blue suit and a pink turban, Mr Sidhu arrived Lahore via the Wagah border from where he will travel to Islamabad to attend Mr Khan's oath-taking ceremony scheduled for tomorrow. Mr Sidhu used his usual poetic expression while interacting with reporters. Welcoming the "change" in Pakistan's democracy with the election of Imran Khan as prime minister, he said Mr Khan should come forward in peace initiative between the two neighbours. "I have come here not as a politician but as a friend. 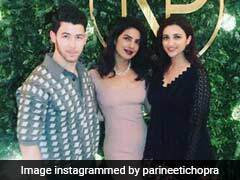 I have come here to take part in the happiness of my friend (Imran)," he said, adding sportsmen and artistes help bringing the people of two sides closer. Mr Sidhu said former Indian prime minister Atal Bihari Vajpayee, who passed away yesterday, also talked about peace between the two countries. Quoting late Atal Bihari Vajpayee, he said, "If there is a fire at a neighbour's house we get the heat of it." Earlier this week, former Indian cricketers Sunil Gavaskar and Kapil Dev whom Mr Khan had invited on his swearing-in had declined the invitation citing personal engagements.